Setting up your operators in Slick only takes a couple of minutes, if that. You can simply click a few buttons to copy them from your Simple Salon account into your Slick account. When you login to your Simple Salon account, click the Slick logo up in the top left corner. Click Operators to add to your Slick account the operators who you want to show online. These are your operators (stylists, colourists, therapists, beauticians etc) who clients can book online appointments with. Click Add from Simple Salon to add each of your operators from your Simple Salon account to your Slick account. Choose which operator(s) you wish to add from Simple Salon, and click Save. Add them all until each operator is present in the Slick operator list. You can Edit or Remove any operator from the list at any time. The next step, which is super quick, is to add your services to your Slick account.  Go to the Introduction to Slick—adding your services article to take a few moments now to get it setup.